The International Translator is the most popular with tourists and travelers, and comes in four handy formats to fit your needs. 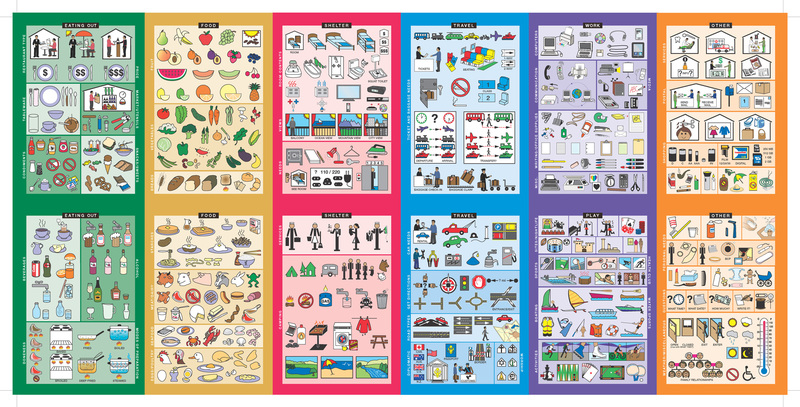 This Visual Language Translator contains content to ease communication in many common travel interactions including: hotels, restaurants, directions, transportation, basic needs, common purchases and requests for assistance. This Passport Size is compact enough to fit most pockets and the patented hinge-laminated format makes it easy to handle. 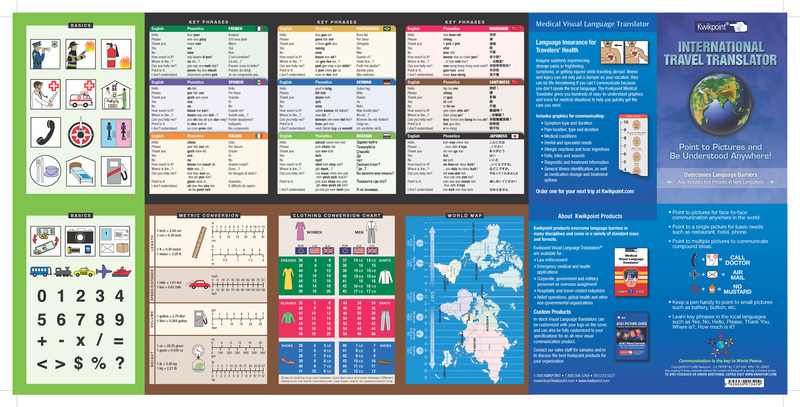 This latest version gives you four more panels of content, including a quick reference that uses phonetic spellings to help you say ten essential words and phrases in nine different languages. This is an interactive ePublication that is an Apple .epub file. There is also a ePublication that is a PDF file. If you prefer the PDF version, please click on PDF Version.